It doesn’t matter whether you love or hate them, you can’t ignore the veggies! These colorful companions form an integral part of our diet. To put forth this message, the Eat Your Vegetables Day is observed every year on June 17. This day not only marks the celebration for fitness or food enthusiasts but serves as a medium to create awareness about how including these foods in your meals can lower numerous health risks. This can be a fun day to celebrate with your kids that can help them inculcate healthy eating habits from an early age. Confused about how to celebrate your first Eat Your Vegetables Day? Don’t fret! Here’s what you can do. 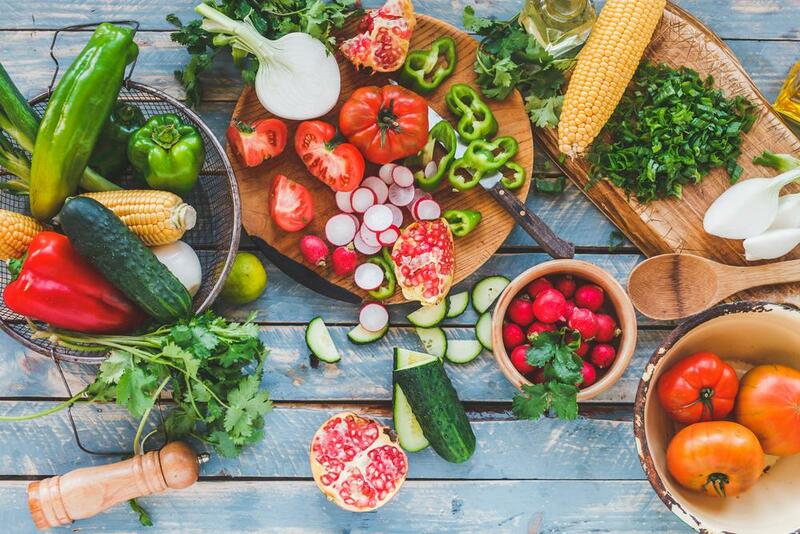 If you are in a fix about which vegetables you should buy, here’s a list of six nutritious vegetables you must try as they’ll help improve your immunity. Broccoli’s flavor has rekindled the controversial debates from time to time. Funnily enough, even former presidents have unexpectedly become a part of it. It seems that this cruciferous debate isn’t going to end any time soon, but whether you enjoy it or not, broccoli is considered as a superfood by many researchers. Packed with numerous nutrients, it is high in vitamins K and C. Moreover, it has incredible amounts of fiber, potassium, and folate. These promote bone, tissue, digestive, and heart health. Some studies conclude that broccoli can also inhibit the onset of chronic diseases such as obesity, diabetes, hypertension and some forms of gastrointestinal disorders. Not just a low-calorie package, spinach is supercharged with vitamin A, potassium, folate, magnesium, iron, and calcium. No wonder Popeye gulped this veggie down every now and then to get his super strength. Also, it is a good source of vitamins B6, C, and K and pigments such as lutein, beta-carotene, chlorophyllin, and xanthene. Its anti-inflammatory properties boost eye health, metabolism, bone mineralization and muscle health. Likewise, spinach is considered beneficial for hypertension and might be instrumental in preventing atherosclerosis and stomach disorders. Kale has been cultivated for the past thousands of years, but it only came under scrutiny in the last decade. Apart from being the star of several healthy recipes, kale has featured in entertainment magazines and has also turned into a major hipster statement for clothing brands. Setting its popularity aside, kale is an excellent source of folate and vitamins A and K. Furthermore, it is an abundant source of essential body minerals such as potassium, copper, calcium, phosphorus, sodium, and iron. Similarly, it comprises nutrients such as vitamins C and B6, thiamin, riboflavin, and manganese. It controls bad cholesterol, diabetes, and premature aging. Kale is also known to reduce the risk of cardiac disorders, blood clotting, osteoporosis, obesity, stomach ulcers, and anemia. Since its folate content is high, it is recommended for pregnant women to promote proper physical and mental development in babies. Having boring mashed green peas as a side dish on regular dinner nights might not be your favorite childhood memory, however, these spherical seeds are definitely more than what meets the eye. They are a magnificent source of vitamins A, C, and K. Additionally, comprising fiber, protein, folate, thiamine, manganese, iron and phosphorous. Green peas prevent overeating and heart disorders. Moreover, they might also help control high blood sugar and aid in digestion due to the rich fiber content. Peas also have strong anti-inflammatory qualities that can help lower the risks of chronic disorders such as arthritis, Alzheimer’s, and bronchitis. They might be infamous for getting everyone teary-eyed, but onions have good amounts of vitamins C and B6, potassium, folate, antioxidants such as anthocyanins and quercetin, sulfur-compounds such as sulfides, thiosulfinates, and polysulfides. All these nutrients have an anti-microbial effect on the body which thwarts bacterial or viral infections. Moreover, they fight free radicals and help in managing anemia, diabetes, bones, skin, and heart health. Sweet potatoes with marshmallows on top is a Thanksgiving classic. However, apart from this traditional casserole recipe, this vegetable has made way into several diets due to highly nutritious content. Rich in vitamins A, C, B2, B3, B5, and B6, iron, magnesium, potassium, copper, and manganese, a balanced consumption of sweet potatoes improves vision, brain and respiratory functions. Furthermore, it stabilizes blood sugar, fights free radicals, protects skin and also aids in weight loss. Some research also suggests that the magnesium content in sweet potatoes can help manage chronic stress, promoting a calmer mood. Adopting a healthier lifestyle by including home cooked veggies in everyday meals can come across at challenging at first. Therefore, to get a hang of it, you should take it slow with easy recipes and cooking techniques. Don’t jump to fad diets or complex preparation methods as they can drain your enthusiasm if things don’t go as planned. The key is to keep it simple and gradually progress towards the tough parts to make vegetables a permanent part of your daily diet.